Click here to find out how you too can sponsor students. This program is offered to those who come from low income families who can’t otherwise to continue their children’s education. 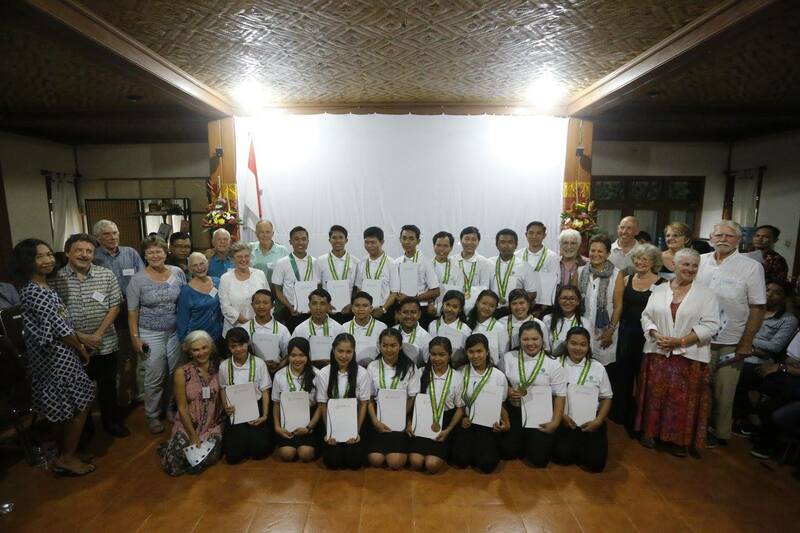 The program is also offered to young people throughout Indonesian islands in general who have already graduated from Senior High School, from orphanages and others, who have strong desire to make a difference in their lives and to extend benefits to others. We believe that education that facilitates the building of inner foundation for Lifelong Learning is critically essential for everyone to thrive and to live their lives in a positive manner to the fullest. This is an education that facilitates the students to move beyond personal limiting beliefs and make sincere efforts to work on achieving congruence, alignment of innate values and actions which contribute to a more energetic, resilient, effective, and interpersonally connected individual. During the year long process, students move into harmony with one another, embrace diversity, gaining confidence through English language and computer skills. Receiving a strong foundation in Living Values, for which Karuna Bali is the model associate in Indonesia for the international program builds a dynamic in the emotional structure of each and creates a behaviour pattern that will support them throughout their lives and has been proven to impact all those whom they encounter whether in the home life, community or workplace. Simply said, the result in just 12 months with this Karuna Bali program in our environment is beyond life changing, to witness such in a young person is the most beautiful experience - the emerging of the soul. Our goal is not to simply eliminate poverty, it is to empower individuals to explore and build their humanity.